His style encompasses influences from percussive to deep & soulful styles of music, merging the boundaries between melody and rhythm; serious music!! The DementedSoul EP features 4 massive tracks, available from Beatport, Boomkat and all digital stores! Dub Clinique is the brain child of Origin UK’s Jamma and Reinforced Records veteran Threshold. Established as a platform to release a diverse range of tracks from artists who create high quality music with identity, originality, depth and soul. Arrows Down did an exclusive acoustic session for The Mistry Mix at The Roundhouse, showcasing tracks from his forthcoming album Tethered & celebrating the release of his single You Don’t Know. DJ/ production duo Tha Nightcrawlaz (Liam Hicks, Clint Franklin) bring their influence to a full hour exclusive this week, starting with 110bpm and surely getting faster! Apologies, it’s been a while indeed! A month to be fair. 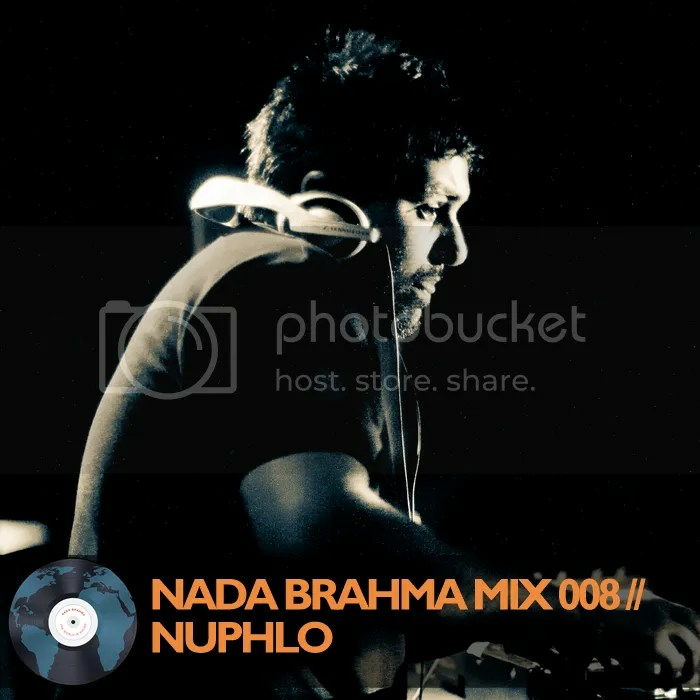 Leeds based music producer Nuphlo did an exclusive mix for Nada Brahma, a UK online based music magazine showcasing alternative Asian inspired music. Nuphlo’s got a eastern influence to his sound bringing a refreshing twist to his production. It was broadcasted on my show late February and is available as a FREE DOWNLOAD from their website. They talk about their latest album Raghse Mardooneh, the formation behind the group and their individual backgrounds, their performance at Cargo featuring special guests multi-instrumentalist Kaveh Sarvarian and guest singer Erfan Shaho. They also explain their own post-modern take on the Iranian heritage bringing out a modern perspective that’s relevant/ timeless to Iranians of all ages and backgrounds. From the elders to young people alike. The track featured on the show Bandare Landan is based on the theme of living in London and the influence that it has being Iranian in multicultural environment. The track has a percussive 4/4 rhythm throughout with call and response and conversation based lyrics engaging the listener so it feels the group are directly reaching out to you, it’s great! 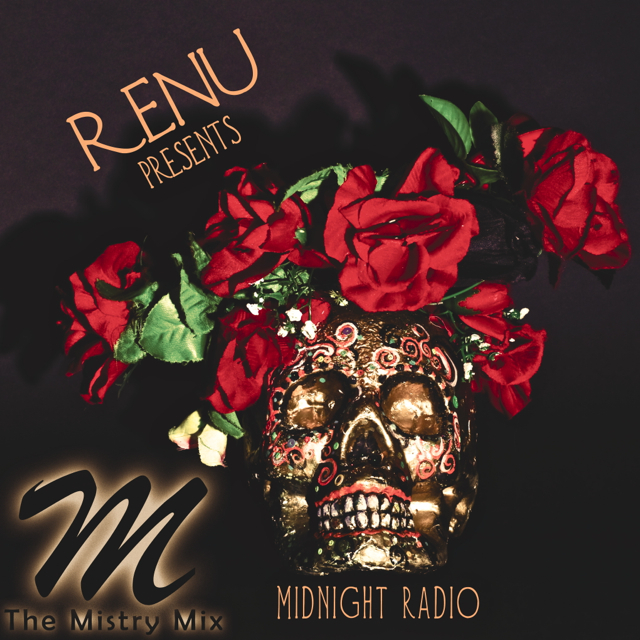 Asian percussionist RENU features this week on The Mistry Mix, talks to me about her latest album Midnight Radio, the audio-visual launch night at London’s Richmix with her band The Revellers, her spanish influences and more. The album has a strong spanish and latin influence throughout, each track adding to a much bigger concept. The lyrics are witty, sarcastic and dark highlighting the facade of human nature in Pretty People to a more positive reminiscence with Mustang. Through The Fire encompasses a dark & melancholy ambience, a tremolo guitar in a empty space enhanced subtly with strings. Layered over distant cymbals/ percussion and eerie vocals of a suffering and determined seeker. Mi Morena Amor has a 6/8 rhythm oozing hispanic influences (Latin, Spanish, Portuguese) featuring the voice of God, a narrative omnipresent perspective within the track, uptempo vocals with a jaunty feel over a scattered rhythm encompassing several percussive instruments. The use of strings throughout the album, which Renu states she loves recording forms a prominent part of the sound, giving an attitude to the various musical passages, the overall sonic concept. This weeks tracklist includes hip-hop MC KRS-One, J.Viewz on the remix of Depeche Mode, Suburban Base’s Marvellous Cain ft Cutty Ranks, MJ Cole- Sincere Wookie remix, Specimen A & James D’Ley, Renu + more!